For brands, how and where they tell their story has a tremendous impact on how it's received. They must actively encourage audiences to share their experiences, achieve trust through transparency rather than authority and embrace multi-channel storytelling. The joy that a good story brings is hardwired in human nature. Campfires, books, movies, and bedtime tales shaped us, and brands have realized that they, too, can craft and tell powerful stories of their own. For brands, how and where they tell their story has a tremendous impact on how it’s received. They must actively encourage audiences to share their experiences, achieve trust through transparency rather than authority, and embrace multi-channel storytelling. A recent review of campaigns from the WARC 100, judged the best in the world for effectiveness and strategy, accentuated this ongoing industry challenge. There were two common characteristics of winning campaigns that particularly resonated with me. First, the average number of channels for campaigns was 7.4, highlighting the vast array of options available and the need for multiple, consistent touch points for storytelling. Second, the emergence of new content delivery options does not diminish the importance of established ones. Twenty-nine percent of the WARC 100 campaigns led with earned media, while use of social media and online video were also prominent in the mix. When you consider these success factors and the ever-changing sphere of audience influencers, it makes a strong case for the enduring effectiveness of brand-building earned strategies used in tandem with digital ones. These factors are the underpinning of why we built All Told, an offering that combines research, content, creative, digital, and measurement expertise into one robust and centralized offering. As the name suggests, our approach to storytelling is holistic. We start with research to gain a firm understanding of what drives the audience and the marketplace. Using those insights, we combine emotionally engaging creative with technology and channel-planning expertise to bring those messages to life in a meaningful way. Finally, we measure the impact to ensure the efforts build trust and relevance with audiences, driving business outcomes. 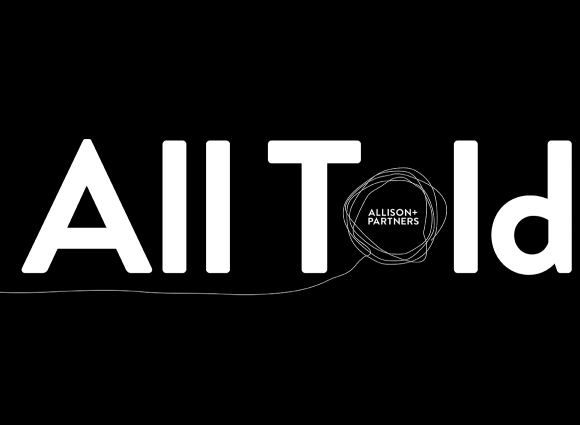 Cathy Planchard is a Senior Partner at Allison+Partners and President of All Told.